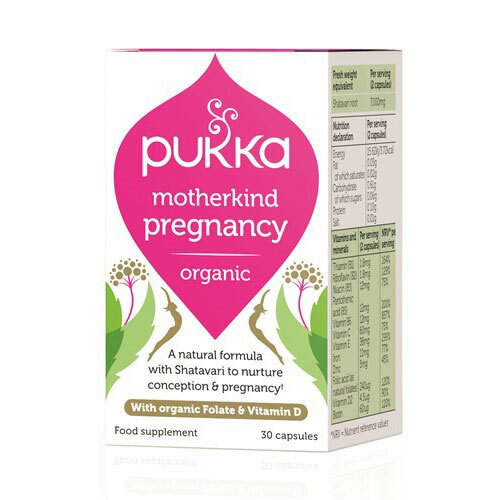 Motherkind Pregnancy is formulated with nature’s finest herbs, vitamins and minerals to nourish the reproductive organs and support healthy conception and pregnancy. During pregnancy this formula supports normal maternal tissue growth & cell division. Orgen-Her™ (Amla, Guava, Holy Basil leaves, Curry leaves & Lemon extracts)* 50%, Shatavari root* 15%, Nettle leaf freeze dried*, Shatavari root wholistic extract*+ 8%, Maca root extract*+, Calcareous Algae*, Arctic fresh seaweed*, Vitamin D2 (Mushroom)* 2%, Ginger*, Spirulina*, Vegetable cellulose capsule (hydroxypropyl methyl cellulose). *=Organic, +=Contains non organic anti-caking agent - silicon dioxide. Below are reviews of Pukka Organic Motherkind Pregnancy - 30 Capsules by bodykind customers. If you have tried this product we'd love to hear what you think so please leave a review. 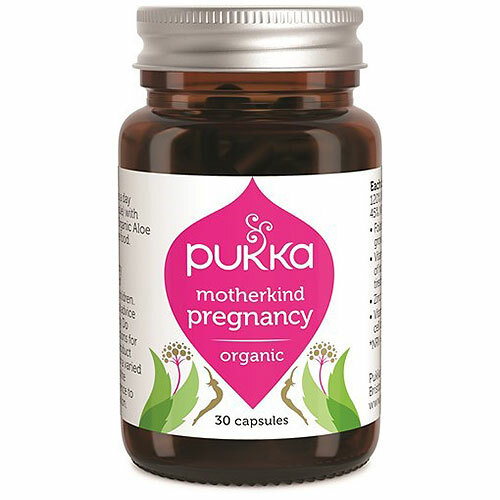 Motherkind Pregnancy is formulated with nature’s finest herbs, vitamins and minerals to nourish the reproductive organs and support healthy conception and pregnancy.